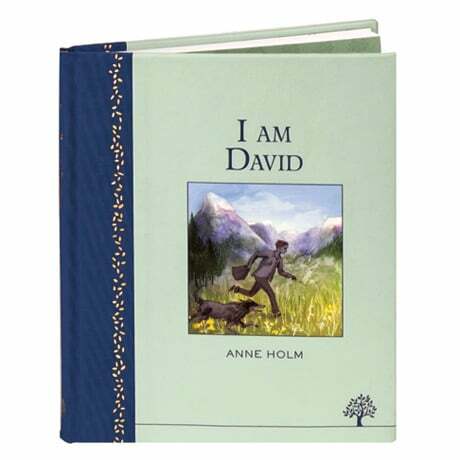 When David is able to escape from the concentration camp into which he was born, at first he is sure the guards will catch up with him. He has been surrounded by dissidents and intellectuals all his life, and has never even learned to smile, but every day that David journeys through Europe he learns more about beauty, and what it is to be free. Is it too much to hope that he will find a place where he truly belongs? Anne Holm's remarkable tale for readers&apos; to 13 is about the value of life and liberty, and remains as compelling today as when it was first published in Denmark in 1965. This Egmont Heritage book is a really lovely little edition, ideal for travel, for reading aloud, and for reacquainting readers with a classic tale they may remember from their youth. The unillustrated text is presented in a cloth spine with gold stampings and an illustrated cover, as well as printed endpapers, a ribbon marker, and sewn binding.